Let me preface this by wishing you all a speedy recovery from the fast day. I know it can be tough on a man or woman, not eating or taking care of bodily needs and then getting back into it the next day. So let my well-wishes act as a transition helper. I know that all of you have a very hard time on 9 Av, with mourning the Beis HaMikdosh and the subsequent Golus HaShechinah (besides for Lubavitchers, who just sit around laughing, and throw berelach, if you would believe the idiot who commented like that here) and being inspired by the various speeches. So let me wish you all a very inspiring rest of the summer, a Happy Tu B'Av, and pleasant vacationing, wherever it may be. Be it Deal, New Jersey, Monsey, or the Catskills. We all know that vacations today are not what they used to be. 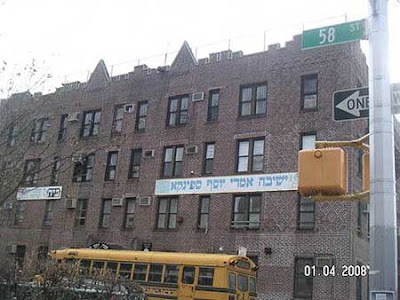 BH they are full of inspiring lectures, Tzedokoh functions and shiurim galore, and the only thing that we vacate are the dreaded streets of Brooklyn, the streets of sheer impurity. No expense is too great to escape those nasty streets for the pure and unadulterated air of Woodbourne and Monticello. Now on the video posted above. I was almost in tears when I first watched the video. Remember that I'm a former Talmid of his Mosdos. The fact that the Spinka Rebbe was subjected to listen to Mr. Brafman's speech and the speeches of the other Tzaddikim is one thing. Dernoch we have that he was basically getzvungen shtein un leynen a droshoh vos di advokaten zeine hubben em matzia geven tzu zoggen, vi a klein kind vos di mamme heist em ibberbetten a bruder oder shvester, is another reason to cry. Yeder einer farshteit alein az di matzav is nisht azay poshut. No Mosad can survive today the way they run. Every Rebbe darf womb to tomb mosdos far zich, val az nisht iz er nisht kayn Rebbe, az nisht ken er nisht fabritziren Chassidim. 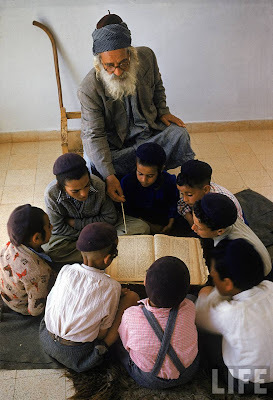 Most of you would agree with me that most generic Chassidishe schools, such as Belz, Bobov, Vizhnitz and Skver, BeSoch di andere fun di Peylishe Chadorim, could really be morphed into one super-Mosad, where all boys of those kreizen, and all girls of those kreizen could be educated in one school. Throw Satmar and Ger into that mix too. If you need thicker socks or longer peyos then expect it from your children without the enforcement coming from the school. That maybe a way to get Mosdos haTorah VeHaChesed into ship shape, ober "mah yaaseh ho'Odom VoChoy?!" וואס זאגט מען פאר א יונגערמאן מיט א שטוב קינדער, וואס די מוסדות רייסן ביי אים געלט, און די קינדער גייען אין קעמפס און סעמינעריס, וויזוי דארף ער אזוי אנגיין??????? These multi-Millionaires are sitting up there and lecturing to the masses how to conduct an honest life? How many kids does Ben Brafman have? What kind of salary does CD Zwiebel make working for the AI? Will I have my weddings paid for like Reb Avrohom Schorr has rich, Poylishe supporters paying for his? Why not put up Joe the Plumber - his frum counterpart, I mean - and let him tell us how he does it, despite all those kids, tuitions, camps, seminaries and no help from his rich parents/in-laws! Nobody's advocating anything but a legal lifestyle, KeMuvon VeGam Poshut, but nobody tells us vi kumt di katz ibber di vasser. Even the ones with 2.2 kids in the FT and LI are already screaming that keeping up with the Goldbergs has become too much of a burden, so what are we supposed to say? Which goes to show you that the whole "ועשית הישר והטוב" forum that they have there every year is what, exactly? what does it teach us, other than telling the masses how hard the Government is cracking down, and how difficult it is to sit in jail?! And that just addresses the issue of the cost of education. What about housing and food? שומו שמים! Whe somebody tells you that only through Chassidus can you reach the highest levels of Avodas Hashem, he doesn't mean to belittle you or the people who also follow the non-Chassidic path. He's not trying to degrade you. But he IS trying to show that only through Limud Toras HaChassidus can one reach the level where he sees the greatness of a Yiddishe Neshoma, and acts on that premise. He then sees how Torah learned in the light of Chassidus lifts one up higher and higher. The Chassidus you learn gives you a new geshmak in all of your learning and in your whole life. Where he sees that G-d never gives up on that Neshoma, like the Rebbe said here, and that he expects you to help him return those wayward souls. If this sicha, said as a siyum on Mesechta Sukkah does not show that to you, then nothing will. 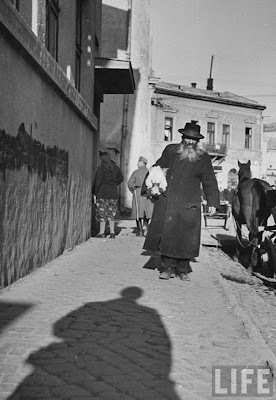 Hungarian Yiddish yingel in the late 30s... Probably in Marmures somewhere, maybe Munkacs. The photographer called these children "peasants." This has absolutely nothing to do with the organization that he works for. It has everything to do with him wiping himself clean of the whole story. Nobody cares for his opinion, and nobody should be pointing fingers, Jew or Gentile, religious or not. So my buddy is telling me about this great Shabbos he had in the Hamptons, rubbing shoulders with all the Hotsy-Totsy Fancy-Shmancy people. Then he tells me about the shul there; that it's the greatest Shul in America, That he wants to go live there, just for the shul, yadda, yadda. That got me wondering; why is he so excited about a shul when he has so many shuls in his own neighborhood, and travels around to so many other places. מה ראה ביכ"נ זו that he loves it so much? 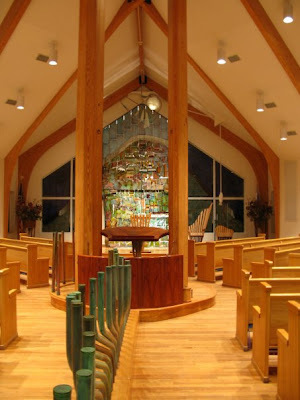 So I poked around online and found a picture online of the Hallowed halls of the Hamptons Shul. And then it all became very clear to me. He had never sat so close to his wife before! Even in some of the more Modern shuls he had to crane his neck and either turn around and/or look up to see her. Here it was so easy, not even a glass partition to keep them apart. And best of all, it was all Orthodox, no guilty feelings to deal with after davenen. Don't get me wrong, I'm not here to condemn any shul or anybody's choice of shul, it was cute to me to see the laws of Eruvin applied to Mechitzah,, where poles stuck in the ground counts as walls, despite the reasoning for a Mechitzah, being pretty simple... The shul is under the leadership of Rabbi Marc Schneier. 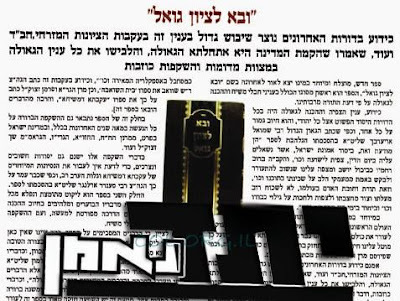 COL ran this "story" about a review of a sefer that was recently published in Israel, where the mechaber lumps together three groups that in his distorted, hate-filled mind are one and the same: Tziyonim, Mizrochim, and CHABAD. There are several fascinating elements to the whole sefer, to the pick and choose attitude, and to the whole revisionism that we're witnessing in front of our very eyes. It's one thing when it's Mikveh or blog reid, but when these lies are published, and the lies get Haskomes from so-called Gedolim, iz shoyn tzorres. You wanna say that Chabad was too buddy-buddy with the Tziyonim for your liking, despite the obvious reasons, go right ahead. You wanna say that you're upset that they don't follow the directives of your Rebbes? fine. I can see that it hurts your collective ego. But don't LIE! Don't sit here and tell the minions who would spend money on this BUCH that Chabad trumpets the medinah as Aschalta DiGeula, because a five year-old could tell you otherwise. If this is the way you did your supposed research how trustworthy is the book, and how trustworthy are the ones who gave Haskomes to this piece of fiction?! Then we go on to revisionist part of the book, the one that tells you that Rabboseinu in Di Lita were all anti-Zionist and anti-Medinah. And that he and his cohorts are carrying that fine tradition handed down from the Chofetz Chaim and Reb Elchonon. What a joke! Any student of history could very easily tell you that the Lita was full of Zionism. That many, if not most of the Rabbonim there were active in the Mizrachi and Revisionist movements, and that REW was the black sheep (for lack of a better term) when it came to Zionism and the Medinah question. And these Litvishe Rabbonim were for the most part talmidim of the great Yeshivos too. Even Reb Chaim was supposed to have said that all Rabbonim in di Lita are quasi-Maskilim! At the 1937 Knessiah Gedauloh Reb Elchonon was the from the only ones (or maybe the only one?!) to vote against supporting the creation of a Jewish State were it to be created. I realize that these Rabbonim have long since passed on and that they no longer make policy for the Yeshivishe world, but still. At least the Hungarians have a long history of being anti-Zionist, so for them it's carrying on the traditions of their forefathers, but you guys? Unless these are all Hungarians turned Litvaks? Question: Why is the sefer called Or Gedalyahu and here it's "Gedalia?" So, I'm communicating via e-mail to this Misngadic friend of mine and we're talking about Lubavitch. Aher un ahin. The same old reid; was Lubavitch always so hated by certain elements among the Litvishe or not. 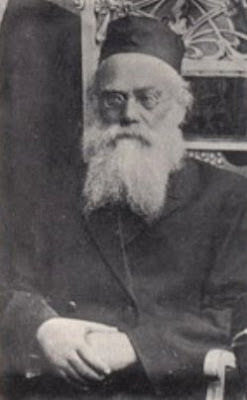 He brings up Reb Leib Bakst, later of Detroit, and says that since his Eyniklach went to the Lubavitcher cheder in Detroit, presumably because they had and have no limudei chol, and today they don't attend any more, that the change happened within Lubavitch, that they brought this upon themselves. Shoyn. Zol zein. Then he admitted to me that RLB was no soyneh to Chabad, something corroborated by Detroit Lubavitcher Chassidim whom I asked, who told me that he was very friendly with the old Rov of Lubavitch in Crown Heights, Rav Zalman Shimon Dworkin, z"l, and was bichlal not interested in the whole new Daas Teyreh movement. All he wanted to do was learn BiMenuchas HaNefesh, not wage wars against his own landsleit. Today after Mincha I was talking to a Yid, a Lubavitcher Chossid, a former Talmid of Gateshead, and the discussion turned to his former RY, Reb Leib Gurevitz. I was always under the impression that he was a strong adversary of Chabad, and I told him so. The Misnagdim - not the Nisht Chassidim - use him as another "rayah" that Chabad is evil, so me being a curious guy, I tried to verify that supposed fact. The man told me the following story in response to my query: One day Rav Moshe Sternbuch - mechaber of Moadim U'zemanim and today Ra'avad of The Eidah HaCharedis, came to town. Now, in GH just about anybody could come to Yeshiva and give a shiur, and RMS was to give a shiur that night (or day). The morning of the shiur after shacharis RMS and RLG were talking, while the latter was wrapping up his Tefillin, and the discussion somehow turned to Lubavitch, with RMS using the term "der Parisher student" to refer to the Rebbe. Reb Leib heard that and turned his back on Sternbuch, saying "that if the world would listen to the Rebbe we'd be much better off." Next thing they know, RMS was not allowed to say his shiur... Take that as you wish. Reb Leib was apparently very close to Rav Simcha Elberg, who was very close to the Rebbe and would visit Lubavitch very frequently, so maybe from there he got a shtikkel education. "In that difficult time of hester panim the One Above obscured the future gezeirah even from the vision of tzaddikim." So said the son, whom I assume is a very good Jew, just as good as the editors are. The editors added the word "Apparently," probably worried about an outcry of the righteous, screaming about the lack of Kavod HaTorah for Daas Torah and the Meyased Torah here in America. Or something like that. I find it very ironic that the Kletzker Rosh Yeshivah, who's Kavod is במקומו מונח, was given vision of tzaddikim by son of RGS, which is not something that even his talmidim would say that he had, yet that was good enough for the newspaper. This is not meant as a knock on RAK. I just don't get what the issue was here. Why the need to add that word, and what does it accomplish? There was no concept of Ruach HaKodesh amongst Litvishe Yidden at that time. I think that's safe to assume. The last one that was thought of that way was probably the Chofetz Chaim. 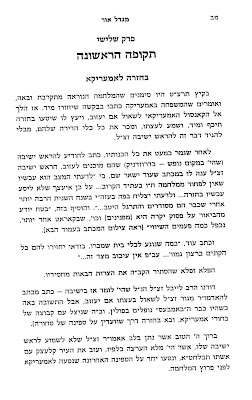 The fact that most of the bachurim in Mir ignored the opinion of the faculty there speaks volumes about what they thought of daas torah, even with much older Rosh Yeshivos, and Tzaddikim such as the mashgiach Reb Chatzkel, who maybe some DID think had a veite kook. [I'll go out on a limb here and say that RGS never asked him as a chossid would ask his Rebbe; and if he did it was only because he shtammed from chassidim. 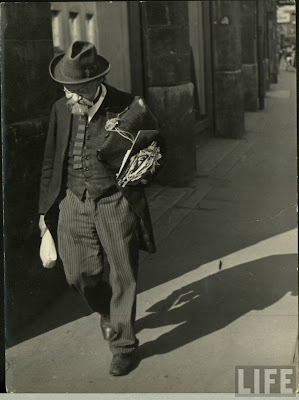 But he soon realized that this is no chassidishe Rebbe, so he packed his bags and left. OK, enough of my boych s'vores, back to the story.] The story in and of itself, I think, is not terrible. You don't think MISTAKE when you read it. 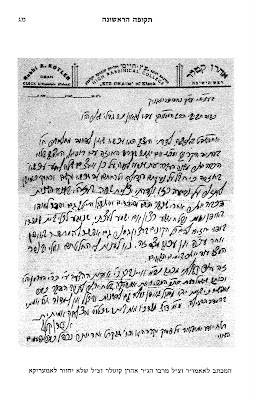 You see more of an Hashgocha Protis that the letter arrived late, rather than a kashe on a Rosh Yeshiva "how could he be mistaken." The fact that they added those two lines shows that the son had his own doubts about the "veiter kook" of RAK, and shows that he's a shvache believer. I guess the editors could not take out the whole two lines, so they needed to add that one word. The point is never trust a chossid; even if he goes to learn in a pure Litvisher Yeshivah he never really believes all the way. He still doubts his RY, and he sure as Gehennom won't die just so he could listen to Daas Torah. If he thinks his life is in danger he's on the next boat home! Then again, the Mirrer Talmidim were mostly Litvaks and they high-tailed it out of there too... hmmm.... what happened to my whole binyan here? Mottel from Letters of Thought spent Shabbos Parshas Chukas Balak in New Hempstead (Greater Monsey, New York) with his wife at the Tzig house. Here's his short report. I've known Hirshel Tzig for nearly four years, yet never seen him face to face . . . I first found the Circus Tent when some of my pictures from Kaunas, Lithuania (Kovno - קאוונא - HT) ended up on MentalBlog (ע"ה) . . . then used as a graphic by Der Tzig. He's been a valued blogging companion ever since. Though Hirshel and I have tried to meet up - by the Ohel, in 770 or by Chassidsher Farbrengen'ish - we were never able to work things out. So, the years and comments went by, and in my mind Hirshel remained a be-horned goat or a bearded face from a Vishniac painting. Then, last week, my wife and I were offered a ride to Monsey. (Mottel asked if he could come, I checked with the wife and we both agreed it would be a great idea!) Sending the Tzig an email, we worked out the details of our meeting for a shabbos together in his home. (In the end the poor guy, had to catch the bus in Williamsburg since the ride didn't materialize. - HT) Bottle of Laphroaig in hand, (That stuff could kill you -- HT) we waited along Route 306 for our dear host to reveal himself. (He means come pick them up. I took three kids with me and we drove down to Rte. 306 and Viola Rd.- HT) I was somewhat taken aback when we ultimately met. True his stature was different then I had imagined, perhaps his hair a bit whiter, but in truth it was his normalcy that surprised me. I feel very strongly that Bloggers are normal people - perhaps a little too passionate or opinionated - overall we tend to mesh very well with the general population. Yet while I didn't expect Tzig to have horns like a real goat I did almost expect him to be very much the firebrand and maverick that we know him as. 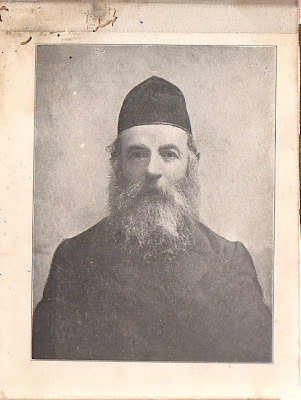 Instead I found a chassidisher youngerman, with zisse chassidisher kinderlach, and overall a very fine and 'normal' life. (Mottel is so holy he didn't even notice that I have a wife too! - HT) After speaking to him, I could tell that he was in the 'know' about all the interesting tidbits, trivia politics and history that make up the discussions here . . . but at most he seemed like the kind of guy who would comment on the Circus Tent and then get into a chassidishe dvarim b'teilim session about it in the mikva or by the kiddush after davening. (Me being the anav, I made sure to hide my vast knowledge in Nigleh and Chassidus from Mottel... - HT) He did not seem like the Anti-Tzemach himself. We spoke briefly about blogging - I gave him a few pointers (such as using scribefire to write up posts, and what Twitter could be used for) - and he showed me some of the vile junk he must filter out of the comments, but over all we spent the Yom Tov of 12-13 Tammuz singing geshmaker niggunim and speaking over divrei yemei chassidus. Hirshel - stay strong in all things, and may we give the Rebbe nachas in what we do - and farbreng again in the near future. In our last discussion about the young Tzig's life we discussed how he became very disenfranchised with the new tone that he saw in Spinka. 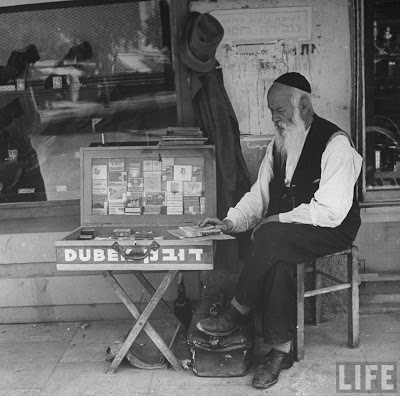 Times were changing and so were the people he was to share the Beis Medrish with. So he moved on to a more neutral yeshivah, where he thought he could settle in for years of serious learning. Also at that time; since he was growing older, the Tzig began to realize that the current approach to serving G-d, the one he was seeing amongst his peers, was not one that "spoke to him," and he began to explore other avenues. Please read Part III, linked to above, for a refresher. Let's say you have a boy who goes to a Mesivta where he must wear white shirts. This bachur comes from a family where white shirts are not the norm. His father doesn't wear them during the week, he wears non-white shirts on Sundays and during the summer, and sometimes when he comes from school he'll go and change. That doesn't mean that he's not a good, frum bachur, it's just that he doesn't think that he needs to be in white shirt all the time. Now, let's say this bachur, who really does everything he needs to, was told by the Hanholoh that if they ever caught him not wearing a white shirt that they would throw him out of the Yeshivah, what do you think he would do? He may follow the rules to begin with, but ultimately he may begin to look for another Yeshivah. This was not the case with me, necessarily, but the point is the same. When the changes come to a school you attend, and you're just not comfortable with them, and you don't see yourself making all those changes, then you KNOW it's time to move on. If I'm repeating myself here, or if I made those points last time, I apologize. 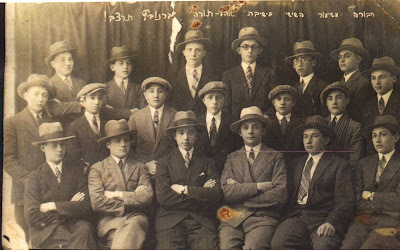 So, where does a kid from Boro Park, Chasidish Geshtimt but with no true allegiance to any particular group, never wore a tie but no bekishe either, spoke Yiddish mostly, but could read and speak English with the best of them go? To another Yeshivah of a dying breed, of course! Yeshivah Ch'san Sofer in Boro Park, a jump, hop and a skip from home. There too the old Oberlandishe type was almost on his way out, but there were still enough there, and there were also guys who considered themselves full-fledged Yeshivish too. This was something I was really never exposed to; serious learners who spoke English, wore casual clothes in the summer and played sports mit a geshmak, basketball too! 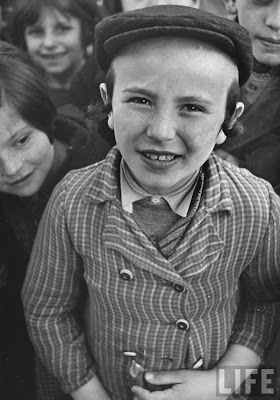 Here I was the Chassidishe one whereas before I was the less Chassidish one because I wore a short jacket, albeit one bought at a Chassidishe (like G&G Clothing) store. This was Mesivta; in the "Beis Medrish" most of the bachurim were far more Chassidish, since the old type of bachur had long since left YCS. That's where the decline of Chasam/Ch'san Sofer heritage was really felt. Yes, the Rov was still at the helm, but they had long since switched to Nusach Sefard, and a hard right turn had been made several years before. Not like Nitra, but hard right nevertheless. Tzig: You are probably in Bensonhurst right now listening to the hespedim [ on Reb Shaul Sholom Menashe Gottlieb, zt"l, Rosh Yeshivah in Beis haTalmud. The truth is I had never heard of RSMG before, and I thought I knew a little bit about local Roshei Yeshiva. In any case I wasn't there, maybe I should've made the trip. - HT] He was R' Leib's (Reb Leib Malin - HT) age - from the biggest masmidim around. Adom Godel - hide the seforim when people came in - didn't know anything about the velt. As far as I know, he k'mat never left Bensonhurst, he didn't do the photo-op things - none of those chevrah [ the old Bais haTalmud group - HT] did. He had no idea who R' Elya Svei was. He had never seen him or heard of him in his 98 years. You might not believe me, but the whole Lakewood (yeshiva) heard of him. Anyways, years ago I heard somewhat embellished mayses how R' Elchonon went to the Mir for a few days just to speak with him in learning. From what I heard, he gave the shiur in Baranovitch when R' Elchonen was in America, besides for R' Elchonon's son who was killed in the war and, I think R' Mendel Kaplan from Filly. Interesting that R' Shmuel Berenbaum heard shiur from him in Baranovitch. In the end I decided that I like the fact that a tract of land in Spring Valley off State Route 45 became "holy." I like that they stick by their Rebbe's words that he was mamshich the holiness of the Holy Land in his village. More power to them. Yeah, I know. "Kan Tzivoh." But this seems - to me, at least - to take it one step further. UPDATE: I see some of you just don't get it! There's a difference when you write Ir HaKodesh, as in Jersalem, Safed, Hebron and Tiberias, to writing that there's brochoh in a neighborhood because a Tzaddik, a Rebbe lives there. It's not rocket science, people. Don't think you're Einstein when you tell me about what the Rebbe called Crown Heights. Nobody ever referred to CH as Ir HaKodesh, nor to Mezibuzh, Mezritsh, Lubavitch, Warsaw, Otwock, Riga, Rostov, Leningrad or any other station. It seems easy, replacing a man. You get a guy that looks like him, sings like him, dances like him, flips he tallis like him, and we're done. We have ourselves a bonafide memaleh makom. Just ask the Bobowers, they love RSH's son because he does that same "walking on air" routine that his father did at the weddings. He waves around the Lulav and Esrog the same way, and his peyos are just so, just like they were by his father. And he has the same last name too. That's often what they care about. If he didn't do it just so they'd complain that he was "meshane fin di tatte's deyrech..." But hey, who am I to complain about them? I imagine the same would be true in Lubavitch too if there was a replacement. On the other hand, maybe not. The Rebbe did things his own way, despite being a very big chossid of the FR, his predecessor. People often were taken aback by some of the changes, but they quickly learned to accept them, because they saw and realized who the Rebbe was. Now, maybe there are many that were mekushar to him personally and they haven't come back since, but I would think that those people who do come back to the shul to hear Citron & Green would need more than just a similar-looking guy or guys up there to fill the void left by SC. Those that were influenced by him and shlepped out of the muck by him needed him to do it for them. It wasn't the fact that he was teaching Izhbitza or telling stories of Moishele the holy Gannif. Anybody can teach or tell stories - not like him, yes, but still. What made it special was who was telling the story or teaching the vort from Reb Tzadok HaCohen. They believed that he truly believed the Torah and the story, and believed in what he was telling them and teaching to them. No vest or length of hair or banging on the bimah just like that can replace that. You can wear a shtreymel, and keep your hair short, and accomplish just the same if you keep it real. The point is some things are just irreplacable. Case closed. You hear me, Green? I'm Twittering too. It seemed like the "in" thing to do. There was a certain Rebbe who had a non-frum daughter. She too grew up in very difficult times in the Holy Land, and eventually joined a non-frum Kibbutz, living her life there till the end of her days. She passed away recently and her death was noted in some sort of publication, I don't remember if it was a Kibbutz publication or a national newspaper in Israel. 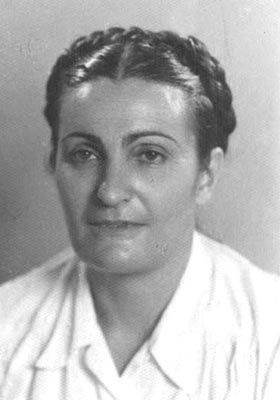 She was some sort of leader in the Kibbutz movement till her dying day, which made it newsworthy, I guess. The woman had siblings who should have sat shiva for her. One of the siblings has a grandson, whom I met recently, and I asked him if his antecedent sat shiva recently, so he said "Yes, for his brother." The truth is he had a brother who passed away recently too, but that's not what I meant. I was asking about the sister. Yet, this bochur HAD NO IDEA THAT HIS ZEIDE HAD A SISTER, BICHLAL! Talk about revisionist history. So which is better: lying to your kids and not telling them that they have an irreligious aunt, or telling them that there was an uncle who nebach made life's choices that we do not agree with, but we still include him in our family? I'm getting off the point here. With bachurim often involved with mivtzoyim and shlichus at an early age - despite it not being b'zman sidrei haYeshivah - the chashivus of full-time learning often gets lost. Add to that the fact that many of the finer yungeleit go on shlichus and are often left teaching young kids or beginner adults and what you have is a gap that needs to be filled. Kolel is meant to last one year, maybe two. There are those that stay longer, but they're the exception. Most that are shayech to learning and don't go on shlichus go into chinuch. 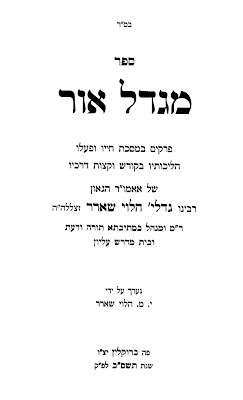 The main emphasis - as the Rebbe wanted - is placed on going on shlichus, meaning that every bachur yearns for that one he's married and past Kolel. It's gotten to the point that much good talent - bachurim that are really shayech to learning - are "wasted" on shlichus since they're being utilized to the fullest potential. It seems like somebody has begun to take notice, surprise, surprise, and has decided to step out of the box and do something about it. I say "out of the box" and I mean today's Chabad "box." After all, we do each have our own boxes, don't we? Having said that, a blurb on the website "shturem" today caused somewhat of a ruckus. According to the story, and take it at face value, there is to be a Yeshivah for מצויינים founded somewhere in Europe next year. 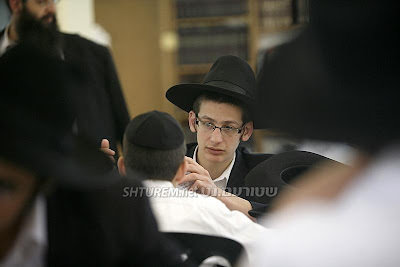 It will be a breeding ground for the next generation of Rabbonim and Rosh Yeshivah in Chabad. 14 precious bochurim will be allowed entry after a careful selection process. It doesn't sound like a very Lubavitcher idea to some, them being more equal and stuff, but I think it's a good one, considering the times we're in, and considering it's 15 years "since Gimmel Tammuz." Yes, Lubavitch is all about love and inclusion, and yes, every Jewish child - no matter his background - deserves an education similar to the average kids, but why can't there a level dedicated to those who show exceptional talent and skills? Why must we keep those who are capable of accomplishing more down with the average kids? Nobody is going to do away with the regular Yeshivah setting, rest assured of that. Mrs. Doe, your Zalmy and Mendy will get to go to Melbourne or Sydney or Kfar Chabad when he finishes Oholei Torah "zal" just like his older brothers did. All we're asking for is that there be who to teach your sons. That there be Roshei Yeshivah in the caliber of Reb Yisroel Friedman and the brothers Kalmanson for the next generation. The way it's going now, with almost every available talent going out to teach beginners, it doesn't seem like it'll happen - al pi derech haTeva, anyway. This seems to be a private venture. Some rich man with money was convinced of the need for such a misgeres and will fund it completely, so they say. And as far as the asinine comments on Shturem complaining that trying to raise lomdim is a "misnagdishe, Litvishe" idea; all I can say is PUH-LEEZ. If you in your right mind that the biggest nachas the Rebbe could have was for a Gaon Olam in the tradition of Leibel Kaplan a"h teaching Aleph Beis to a child and then learning Gemoroh בעיון on his own late into the night, then you don't know the first thing about "unzer heilige Rebbe." For a yungerman of below-average intelligence to do it is kain kuntz nit. For a shliach who only learns Chumash Rashi to teach that to his class is מהיכי תיתי, The Rebbe wants "bacon," not "eggs," if you remember the story of the hen and the dovor achar walking along the street, and the only way to do that is to be something first and then avek gebben fun zich later. I realize now that I sort of went off the point by first saying that it would create Roshei Yeshivah, and then saying it would create Lomdishe shluchim. Oh well, efsher lekayem shnayhem.